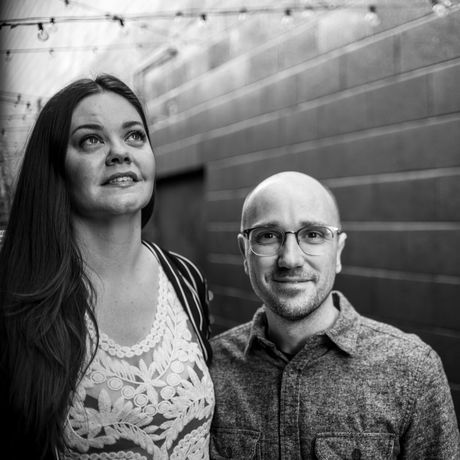 Local Las Vegas artists Brian and Jennifer Henry talk about how their projects, pets and career paths have been shaped by curiosity. Do not downplay or underestimate the value of curiosity. Brian Henry Brian Henry is the Principal of Brian Henry Design, a interdisciplinary firm specializing in high resolution LED displays, new technologies and 3D generated motion graphics. For over 20 years Brian has been a pioneer in the signage and lighting field, designing state of the art displays, record setting control systems and award winning motion graphics. Also an accomplished fine artist, Brian’s dynamic parametric works are revolutionary in the light based art genre, creating a new and quickly evolving dialog for art made with emerging technology. Jennifer Henry Jennifer Henry is the Creative Director of Brian Henry Design with a focus on developing aesthetically innovative motion graphics concepts that communicate a clear and compelling message. A seasoned professional with a diverse portfolio, Jennifer still contributes her varied talents to the fields of journalism, event design and film production. Under the moniker Flockflockflock Jennifer has created wearable artworks for presentations at LACMA, the runways of New York Fashion Week and SXSW.